The Congressional Budget Office (CBO) today released a ten-year budget baseline showing $7 trillion in deficits over the next decade. Yet because Congress requires the CBO to include all sorts of unrealistic assumptions (that all tax cuts will expire, that the AMT will never again be patched, that discretionary spending will barely move for a decade), some adjustments must be made. This more realistic “current-policy” budget baseline reveals a ten-year deficit of $13 trillion. The annual budget deficit never falls below $1 trillion, and reaches $1.9 trillion by 2021. At that point, the $25 trillion debt would exceed the size of the entire economy – and even that assumes a return to peace and prosperity. These deficits are driven by spending. Even if all the 2001 and 2003 tax cuts are made permanent, tax revenues (historically 18.0 percent of GDP) would climb to 18.4 percent by 2021. Yet federal spending (historically 20.3 percent of GDP) is projected soar to 26.4 percent by 2021. By that point, 100 percent of rising long-term deficits will result from above-average spending. There is no long-term revenue decline. * Over what would be President Obama’s eight years in office, baseline budget deficits are projected to total $9.9 trillion— triple the $3.3 trillion in deficits accumulated by President Bush. These spending and deficit figures are unsustainable. In order to aver a budget crisis, Congress must substantially rein in non-defense discretionary spending, enact multi-year caps, and then begin fundamental Social Security, Medicare, and Medicaid reform. Small budget tweaks and freezes are no longer sufficient. 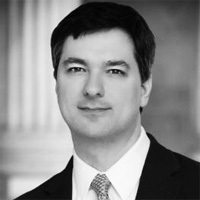 — Brian Riedl is Grover M. Hermann fellow in federal budgetary affairs at the Heritage Foundation.